SOTA News 2007 SOTA Instruments Inc. The Water Ozonator has finally completed CE certification testing. We had to spray the inside of the enclosures with a protective coating in order for the electric magnetic radiation (EMR) to be low enough to pass CE. It has passed using a copper coating, thankfully, as this is the least expensive spray. Ozonator unit. We are looking at Spring 2008 for this unit to be ready to ship. Once we receive the plastic enclosure sample and approve it, we will then start pre-selling the Water Ozonator at a discounted price. We will notify you via email of this. We thank you all for your patience, as we know the products we are bringing to the market will be the absolute best we can do. Effective December 1, 2007 all orders outside of the United States will be charged in Canadian (Cdn) dollars. This has been a difficult decision for us, as the USD is a currency that is recognized worldwide. We will review this policy periodically. If the USD continues to slide in value our pricing will need to increase. Over the last seven years we have seen the USD drop in value by over 50%. We can maintain our pricing as long as the USD stays at par with the Canadian dollar. We apologize for any inconvenience this may cause, we have held off as long as we can before making this change. Well as life would have it, we are being guided to make some major changes to our new Community. This was a very difficult decision for us because we are on the final stretch. We have learned, however, since we started our business that we are always better off when we listen to the guidance that comes our way. In early October, Lesley had a very vivid dream outlining to her that the Community as it was being created, would not keep us safe from governments. She was shown that SOTA cannot post anything educational on its site including testimonials. A separate company at arms length from SOTA, needs to take over the role of education, information and testimonials. After having worked for five years on our new organizational system and website and it being in the final lap to completion, we made the decision to ignore this dream and continue on as if it never happened. Two weeks later, Lesley had two more dreams, the first one showing that SOTA was headed straight for a cliff; that we did have the strength to alter the direction; and that the new direction would mean we would not be able to communicate clearly with people. The second dream showed that although we thought we were late, we weren't, and if we continued to rush and not listen, government would get involved to stop us. Some of you know that we spent about three years battling several government bodies – in the USA, Canada and the UK. In the end we were successful in that we could keep making our units available to help others. This experience was incredibly stressful on both of us and it took us a few years to heal from the experience. It is not something we wish to repeat. We can ignore one dream … but when the next two came we sat down and discussed the dream messages and what we should do. We both feel we don’t have the strength to go through more government battles. The time we live in limits health freedom by way of excessive and expensive government regulation. We have decided to listen to the dreams. The bad news is this will mean a delay. The good news is the SOTA site should still be able to go up quite quickly. The SOTA site will have a lot less than planned and you will be able to purchase directly from the site. We will be working out the details of this change in the next month. Another company will be starting the process of creating a website that can accommodate information and testimonials. All of our “What’s New” updates are now available through our e-newsletter system. Please visit: http://www.sotainstruments.com/subscribe_let_me_know.asp to sign up for news updates. The Water Ozonator has finally passed the CE certification testing. We had to spray the inside of the enclosures with a protective coat in order for the electric magnetic radiation to be low enough to pass CE. We had the unit tested with a silver coating, which has the highest protection ability, but is also the most expensive spray. Now that we know the silver passes, we are going to do additional tests with copper and copper/silver coatings to see if they will also pass the CE testing. Both of these sprays are less expensive than silver, which means if they also pass the CE testing, the Water Ozonator’s will be lower in price. Once that is all done … we will move into full production. We are probably looking at early 2008 for this unit to be ready. We are still a few months away from having this project complete. Our goal is to have the Community ready by the winter of this year. We have passed along all our page details and site architecture to a company in India who will be building our new website for us. We are very grateful for the global community, to build the SOTA Community in North America the price would have meant a much smaller site than we are able to create using developers in India. We are still working on the graphic elements – video clips, photographs, illustrations for the new SOTA Community. Our much anticipated LED Light unit, the LightWorks, Model LW1 is now in-stock and shipping. We really want this unit to pass CE certification. This is a safety certification used in Europe and includes electromagnetic radiation (EMR) safety. We had our prototype tested and it failed. We knew this would be the hardest of all our units to design so that it would pass. The reason is because there is such high voltage going through the unit in order to produce ozone. We are getting two more prototypes built of the Water Ozonator right now. Each of the plastic enclosure prototypes will be sprayed with a different coating that is designed to block EMR’s. Once this is done we will do a preliminary testing for CE. If one or both of the prototypes passes this test, then they will be sent to Hong Kong for the actual CE testing. Once our new unit passes CE we will move into making the tool for the plastic enclosure and from there, move into production of the unit. We will do our best to keep you informed at each stage. At this point, it is really hard to say when we will have the unit available for sale. We are not willing to sacrifice the design and quality of our products in order to get something selling as quickly as possible. It is more important to us to produce a unit that is the best we can do, so we know you get our best. We thank you for your patience and understanding. Our website project is very close to our hearts, as we hope it will empower each person to make an educated decision on whether or not the SOTA units are for them. We continue to work on this project. The writing is almost complete. We are working on the graphics, page details as well as the design and architecture. We are very excited about this project—there will be a database that will allow you to search by topics to read personal experiences with the units; there will be several articles explaining how to use the protocol; science that supports the technology behind the units; and articles on the SOTA journey and the life of the physicist who first developed the units. We are still a few months away from having this project complete. Our goal is to have the Community ready by the fall or winter of this year. We will keep you posted periodically. The Model Number for the Silver Pulser has been changed from “ZBB5” to “SP5”. 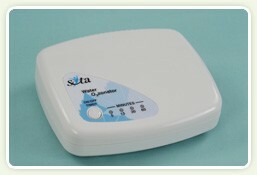 With the purchase of any SOTA unit, an SP Lite can be purchased for $50.00 US retail. This sale will continue until further notice. We are giving away our existing stock for free. If you own an older model unit with a black or grey small rectangular plastic case, and you would like to have a belt clip, there will be shipping charges involved, but the belt clip is free. We invite you to contact customer service at info@sotainstruments.com if you would like to participate in this offer. We are giving away our existing stock of carrying cases free. If you own an older model unit and would like to have one of the carrying cases, there will be shipping charges, but the carrying cases themselves will be free. We invite you to contact customer service at info@sotainstruments.com if you would like to participate in this offer. We are selling the Silver Pulser carrying cases (the grey fabric cases) with the SP Lite’s for an additional $3.00 US$ while supplies last.